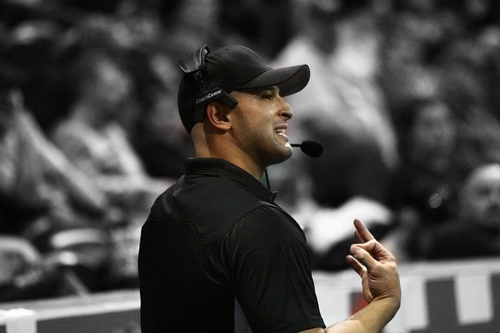 GREENSBORO - Cobras assistant coach Ameer Ismail has been promoted to Defensive Coordinator. The reigning NAL Coach of the Year was signed on to the Cobras last month as an assistant coach, stepping down from his position as head coach of the Massachusetts Pirates. There, he led the Pirates to the best record in the NAL at 11-5. Ismail will be taking over the vacancy left by former DC Brian Schmidt, who has been recently promoted to Vice President of Business. Ismail is from Lansing, Michigan, where he went on to play football for Western Michigan University. While attending school there he set the NCAA record for most sacks in a game with six, and acquired his Master's degree in Sports Management and Administration. © 2019 Carolina Cobras. All rights reserved.